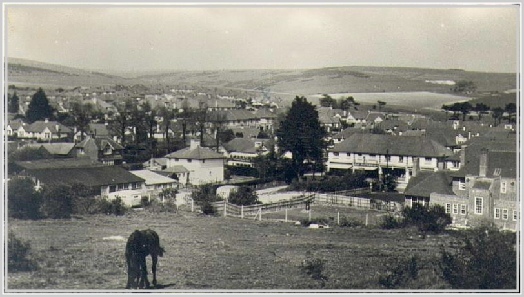 Looking down Stanley Avenue with Southwick Hill in the background. 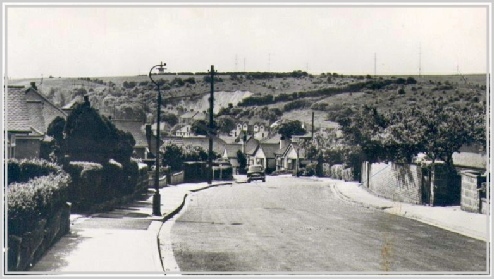 Pat Bunting lived in the bungalow on the left just by the drive after the lamp post and Mr Hall on the right. Picture of Mile Oak again from Southwick Hill, the field in which the horse is grazing is the very area where we used to hold those magnificent bonfires. 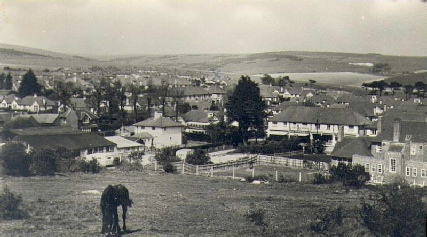 Mr Butcher’s garage/workshop is to the left of the picture and the Mile Oak Inn on the right. 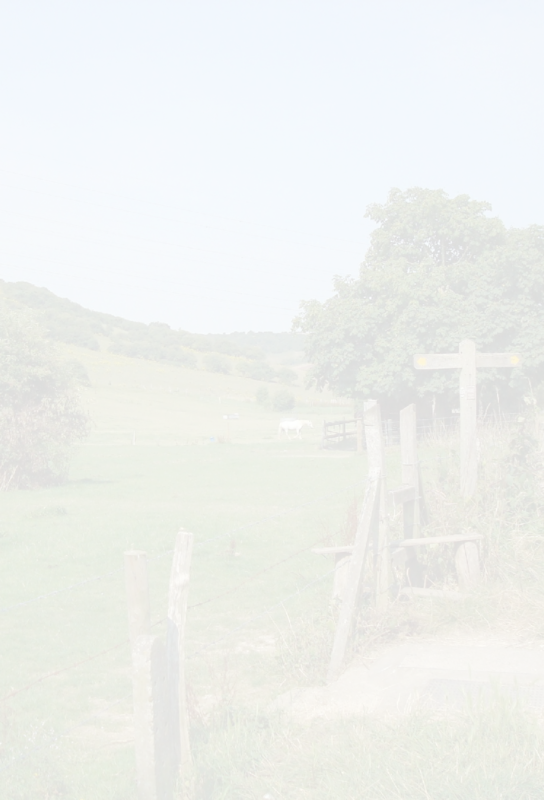 The area is shown fenced off but in those far off days there was no fence but only ruins of the disused Pickle Factory.